WHITCO CATERING & BAKERY EQUIPMENT LTD. (herein referred to as the Company) contracts with the following terms only. These terms are deemed to be accepted by the customer unless express written variations are negotiated which may only be authorised on the Company’s side by the written authority of the Director of the Company. All quotations are made subject to the Company’s approval of credit references should they be required in the opinion of the Company. The Company’s quotations and price list are statements of the basis on which the Company will be prepared to receive offers to purchase.The Company shall be deemed to have accepted such an offer, and the customer shall be deemed to have accepted these Terms and Conditions upon despatch by the Company of a written acceptance of offer, or upon the Company tendering delivery or part or all of the goods specified in such offer. All Quotations are valid for 30 days from date of issue. The Company reserves the right to modify specifications, designs, materials and finishes of the goods at any time without notice. The Company will endeavour to fulfil any stipulated or desired delivery date but shall not be liable for any loss or damage occasioned by failure to do so. The Company shall not be required to hold or store equipment after manufacture is complete or after stipulated or desired delivery date (if any) and may charge rental in the event that the customer declines to take due delivery. The Customer shall be accountable for any cost, loss or damage arising out of failure to take delivery of goods when properly tendered. Delivery of goods to the customer, his servant or agent, shall be deemed to constitute acceptance for all purposes of the Sale of Goods Act 1893 and subsequent enactment. Damage to goods incurred or arising during transit must be notified by the consignee both to the carriers and to the Company within seven days from the despatch date on the Company’s advice note(s). The customer shall be liable for any loss or damage consequent upon failure to notify as stipulated in this condition. Risk of damage to or loss of the Goods and the obligation to insure the Goods shall pass to the customer at the time of the delivery or collection. The customer shall insure the Goods against loss or damage for no less than the sum payable by the customer to the Company for the Goods. Not withstanding delivery and the passing of risk in the Goods or any other provisions of these conditions the property, legal or beneficial, in any goods supplied by the seller shall pass to the buyer only when the seller has received full payment for all sums then owed by the buyer to the seller. The title to the goods will not pass to the buyer until payment is received in full. Goods in respect of which property has remained with the seller shall be kept identifiable as those of the seller, and the buyer shall at its own expense immediately return such goods to the seller, or permit the seller to enter into the buyer’s premises to collect such goods should the seller so request.Until such time as the property in the Goods passes to the customer, the customer shall hold the goods as the Company’s fiduciary agent and bailee and shall keep the Goods separate from those of the customer and third parties and property. Until that time the customer shall be entitled to resell or use the goods in the ordinary course of its business, but shall account to the Company for the proceeds of the sale or otherwise of the goods, whether tangible or intangible, including insurance proceeds, and shall keep all such proceeds separate from any monies or property of the customer or third parties, and in the case of tangible proceeds, properly stored, protected and insured and identified as the Company’s property.The customer shall not be entitled to pledge or in any way charge by way of security for any indebtedness any of the Goods which remains the property of the Company, but if the customer does so all monies owing by the customer to the Company shall (without prejudice to any other right or remedy of the Company) forthwith become due and payable. 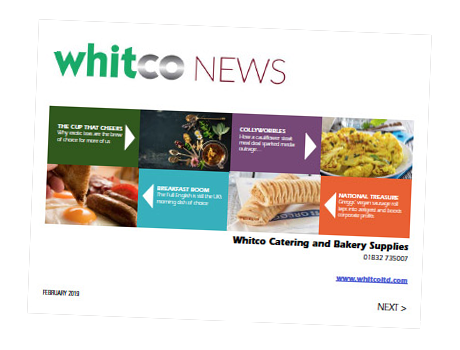 All design & copyright remains the property of Whitco Catering & Bakery Equipment Ltd, in the event of violation a fee of 5% of the contract value or £2000 minimum will be levied. Delivery of goods ordered by customers is chargeable unless otherwise agreed. Carriage charges arising from special instructions e.g. Red Star, Private carriers, Air Freight etc. will be chargeable at cost. Normal packing and carriage charges will be advised at time of placing order. All prices are subject to VAT at the standard rate. Installation is not included in the price unless otherwise agreed. Installation is subject to a full site survey to be carried out during normal working hours Monday- Friday 8am- 6pm on a single visit. The Company reserves the right to charge additionally for work not detailed in the site survey or delays caused by others.Earth bonding is not included in our quotation unless otherwise agreed. The customer is responsible for ensuring that the capacity and performance of any goods purchased by him from the Company are sufficient and suitable for the Customer’s purposed. The Company’s liability in respect of defective goods shall be limited to the terms of the Company’s guarantee for any statutory or other warranty express or implied as to the state, quality, merchantability or fitness for any particular purpose is hereby expressly excluded and the Company shall in no circumstances be liable for any damage or loss of any kind whether direct special or consequential except that liability for death or personal injury only resulting from negligence may not be excluded or restricted by any contract term. The Company guarantees that for a period specified at time of sale, it will make good any defects covered by their own warranty provided that no alteration, addition or repair has been carried out except by the Company and that instructions for use have been followed. Customers are advised to read the instructions supplied with all the goods and to follow those instructions closely. If the Customer has any difficulty in interpreting the instructions, he should seek advice from the Company prior to usage. IN CASE OF CANCELLATION OF ORDER A CHARGE OF 20% OF NETT VALUE WILL BE MADE, EXCEPT FOR SPECIALLY MANUFACTURED EQUIPMENT WHICH IS NOT SUBJECT TO CANCELLATION. All work carried out as specified on the work sheet left at time of visit. If the customer makes any voluntary arrangement with it’s creditors or becomes subject to an administration order or (being an individual or firm) becomes bankrupt or (being a company) goes into liquidation (otherwise than for the purpose of amalgamation or reconstruction) or an encumbrance takes possession, or a receiver is appointed, of any of the property or assets of the Customer or the Customer ceases, or threatens to cease, to carry on business, or the Company has reasonable grounds to believe that any of the aforementioned events may occur then, without prejudice to any other right or remedy available to the Company, the Company shall be entitled to cancel the contracts or suspend any further deliveries under the contract without any liability to the Customer, and if the goods have been delivered or collected but not paid for the price shall become immediately due and payable notwithstanding any previous agreements or arrangements to the contrary. Any notice required or permitted to be given to either party to the other under these conditions shall be in writing by recorded delivery, or by facsimile (followed by a recorded delivery letter) addresses to that other party at its registered office or principal place of business or such other address as may at the relevant time have been notified pursuant to this provision to the party giving the notice. If any provision of these conditions is held by any competent authority to be invalid or unenforcable in whole or in part the validity of the other provisions of these conditions and the remainder of the provision in question shall not be affected thereby. The contract shall be governed by the laws of England.